August was a special month, as part of the Baby M’s birthday celebration we booked a room with Conrad Tokyo just because Mummy loves the place (more for myself) I wanted a place to chill for 2 nights and a good hot bath soak. Not that I don’t love staying with my in law but still I would love to get out of bed and just leave the room to come back with everything cleaned and packed away nicely and lots of SPACE. Thanks to Baby M’s charm, we got a free fruit platter from reception just because they knew it was her birthday. 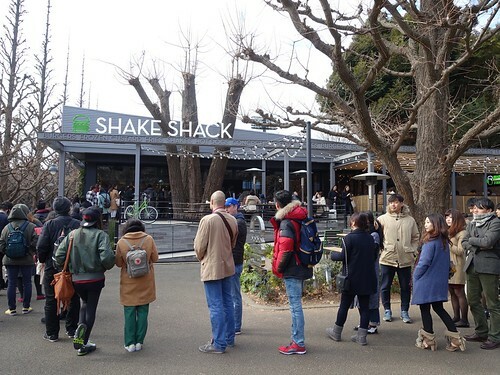 Always wanted to try out Shake Shack that came from NYC but the wait line is always about 2 hours at their main branch in Jingju Maen so I was happy to hear that they opened a 100 seater branch near to Ebisu Station. Here we go, it was full house at 530pm on a Saturday evening. Waiting in line to buy our burgers. 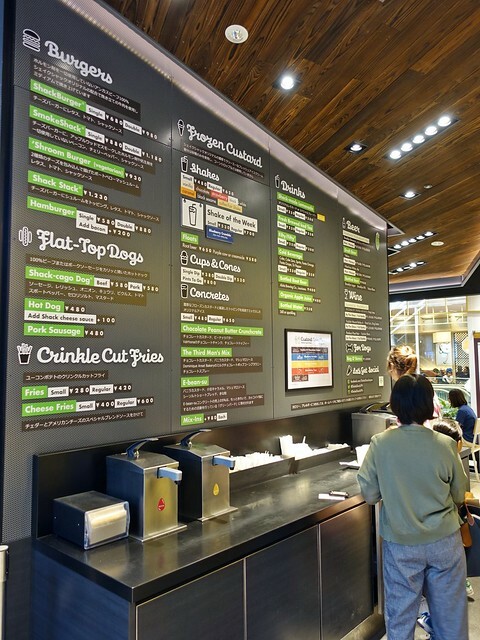 Fret not, the menu is in English and Japanese. 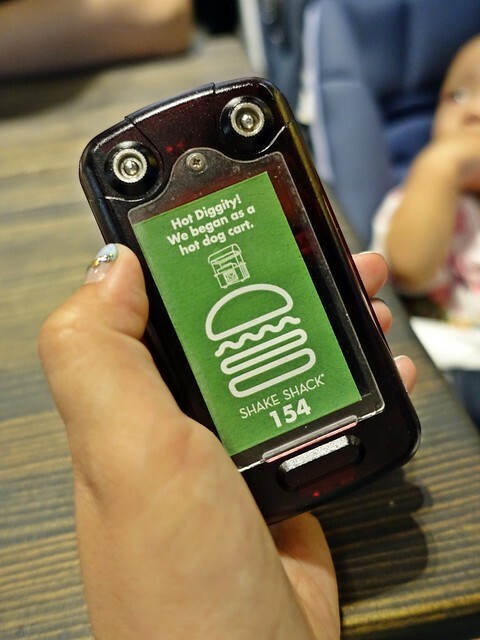 After placing our order, we were given a buzzer and headed to the other side of the restaurant to wait in line to be assigned a seat. Finally, I got to try this after months of waiting. 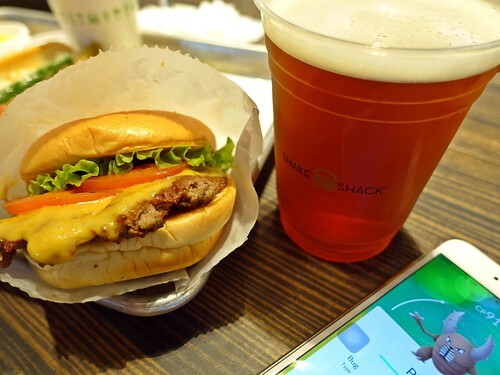 Beer with burger – YUMMY! Plus catching pokemon go! 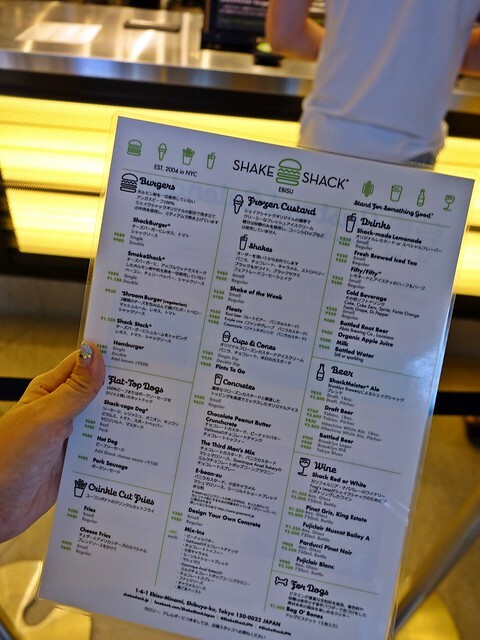 Shake shack originally started as a hot dog food truck so of course we must try it too. 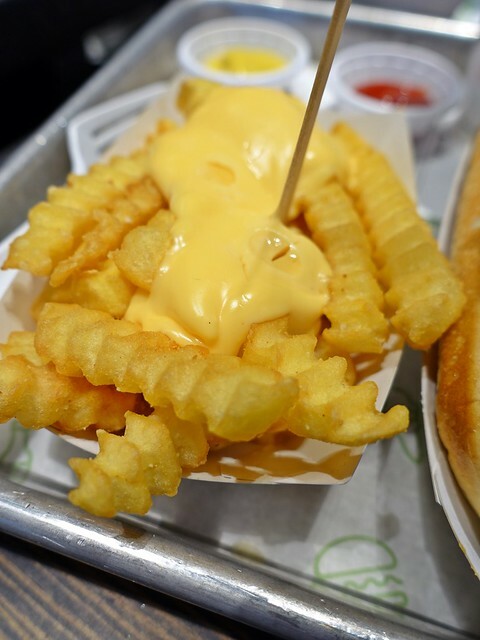 Cheese fries. 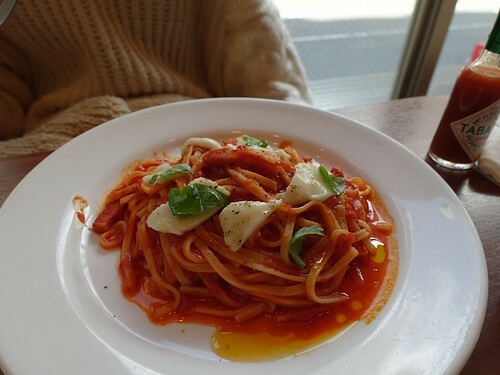 Loved the food but the portions were really small so I would recommend getting more if you want to fill your tummy up but we were planning to go for 2nd helping with other food so we were fine with what we had. The overall wait at the Ebisu branch was not more than 20minutes but we were early at 530pm. 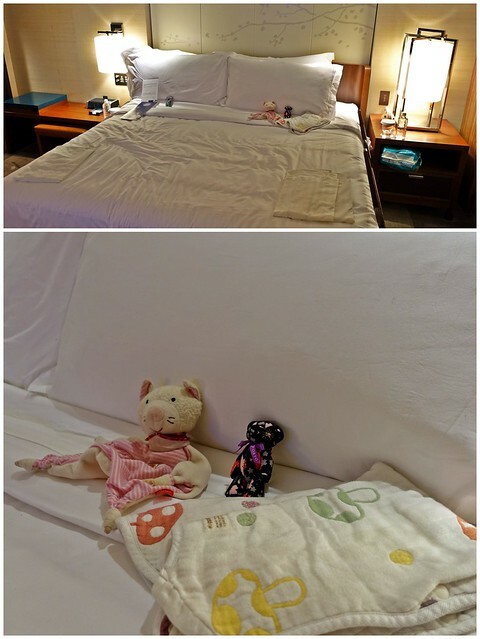 The humor from the Conrad team with their turn down service with Baby M’s snuggly toy and blanket. 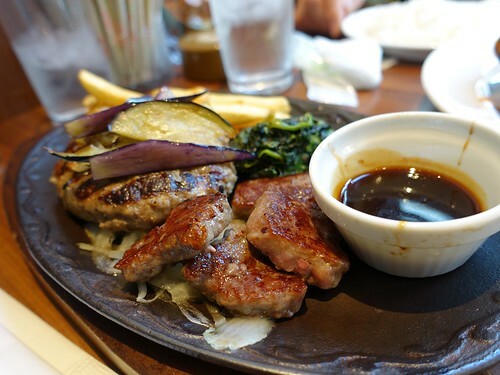 I didn’t get much chance to explore the Tokyo food scene the last trip as we have a very young baby with us so we stayed for home cooked meals most of the times but I still got to eat whenever I can I can. 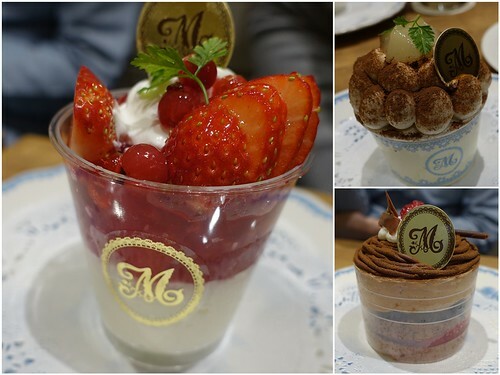 Not to be missed, are desserts in Tokyo. I was never a sweets kind of person until I went to Japan. 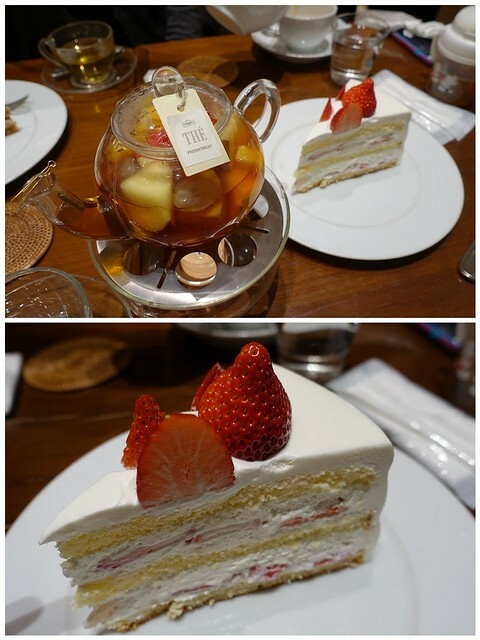 I like how fresh the fruits are, how light the cakes would be and not to forget the choices we can get for desserts. 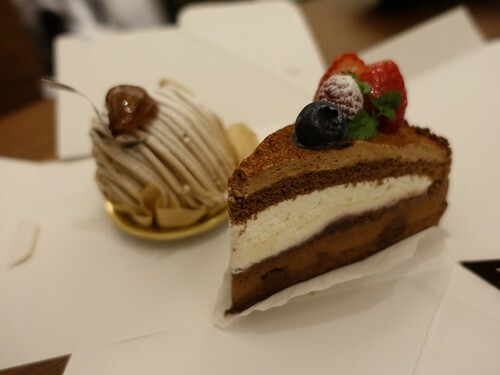 1 of my favorite dessert places in Japan – HARBS but they are really getting more and more expensive. 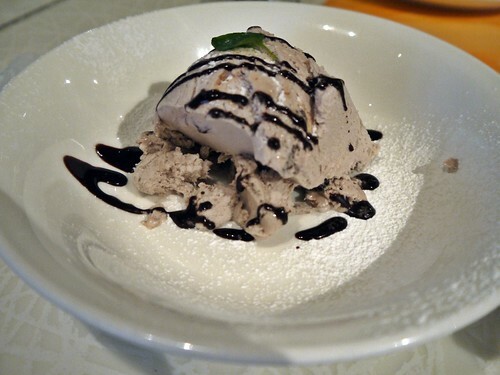 I love the Mont Blanc in Japan too! 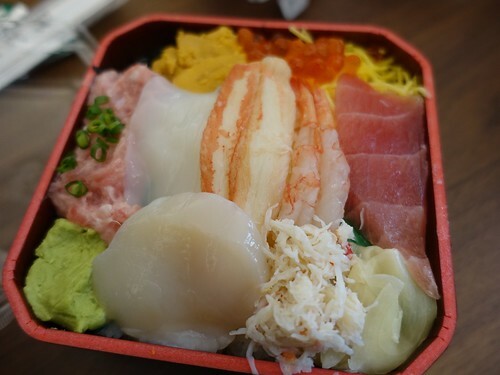 Seafood don for only 1200JPY from Daimaru. 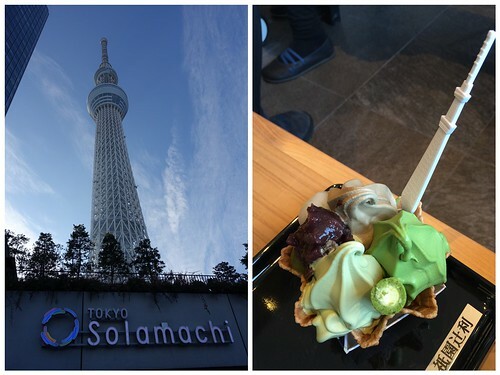 Some green tea matcha dessert while we met up with some friends in Skytree. 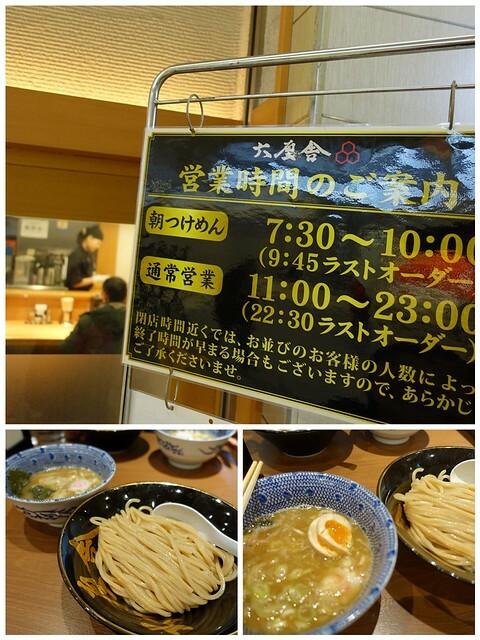 No way, I can wait in line for 1.5 hours at one of my favorite Ramen place in Tokyo station – Rokurinsha Ramen. Since we were catching a train at 9am so here we are at 8am in the morning to have some ramen. I realised that the broth from the morning session is much lighter than the ones served after 11am but nevertheless it was still quite yummy. But still it was great to come breathe some fresh air baby wearing. 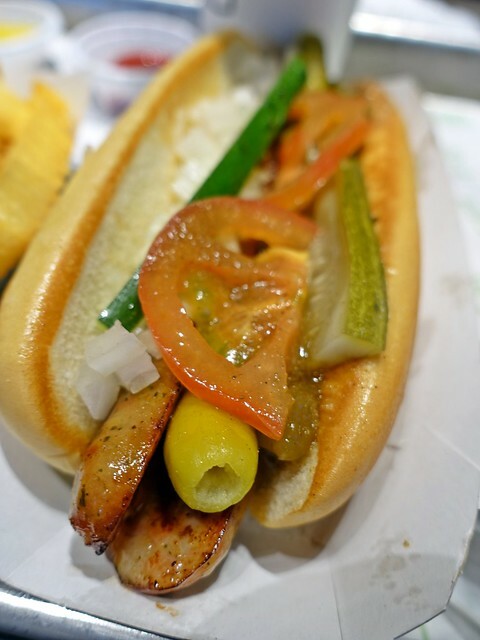 There wasn’t too many food choice on the last day of 2015 since a lot of eateries are closed for the New Year. Surprisingly, Japan Denny’s food is not that bad. 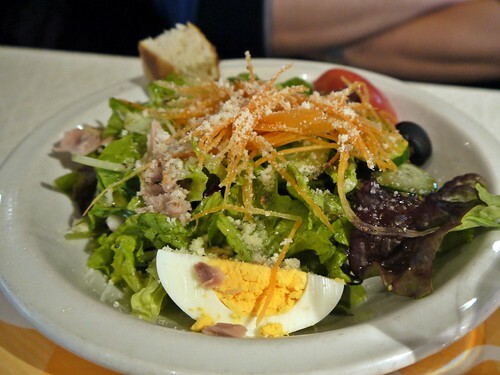 The salads were made with fresh crispy lettuce instead of soggy ones. 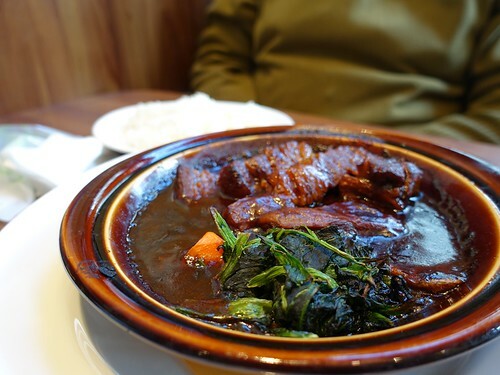 Beef stew was flavorful and soft. Denny’s is not too bad a selection if you don’t want fast food and they are ok with pushing a stroller in. 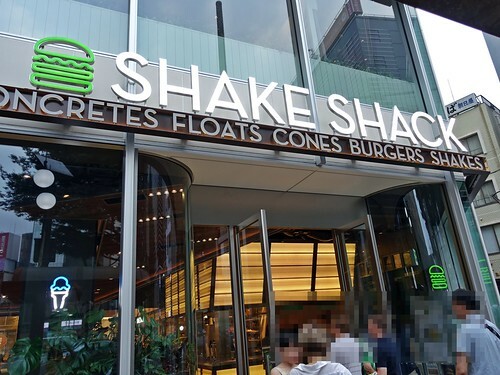 The only bane is their idea of smoking and non smoking seats = different corners of the restaurant so the non smoking areas does have a smoke smell. Ample light from the sun which makes you happier from the cold the weather. 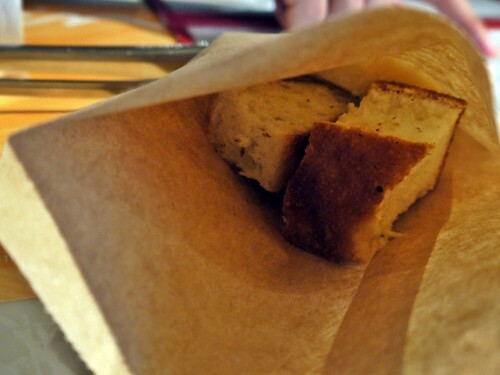 I thought this was really smart, bread was served in paper bags. Very efficient for staff shortage for the holidays. 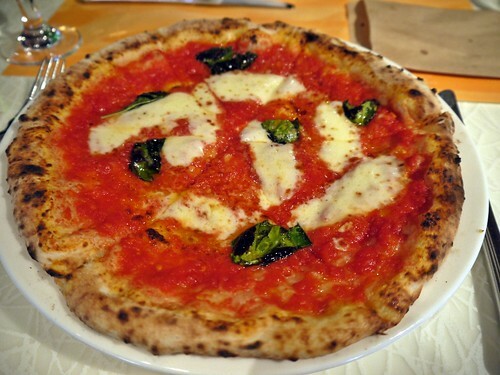 Margarita Pizza, we also ordered other main like ham and cheese pizza and grilled fish etc but I was too hungry to take photo. But I still preferred my Sesame ice cream. 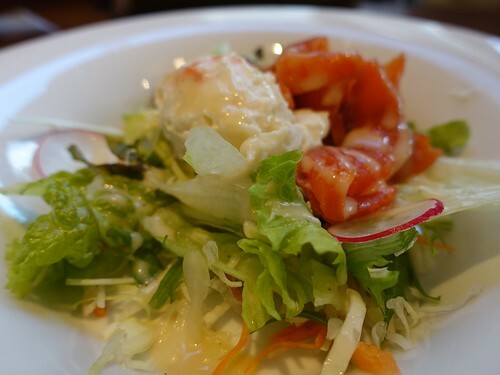 I do miss such meals in Tokyo as they are usually tasty and not too expensive. This 3 course set was about SGD18 only. 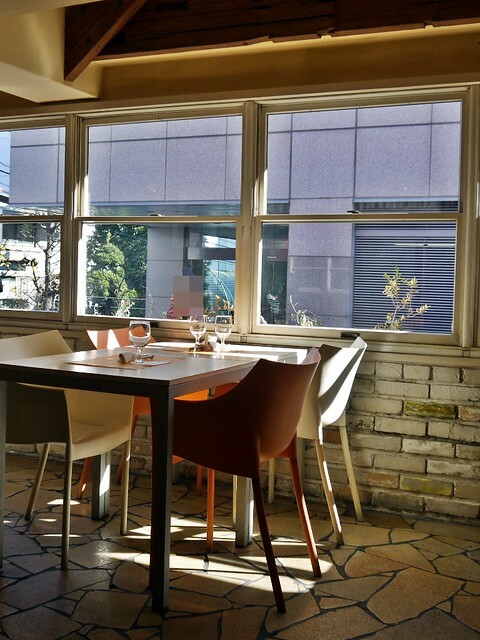 It is almost impossible to get a reservation for the window seat with a Tokyo Tower view for this popular restaurant unless you choose a early weekday slot. 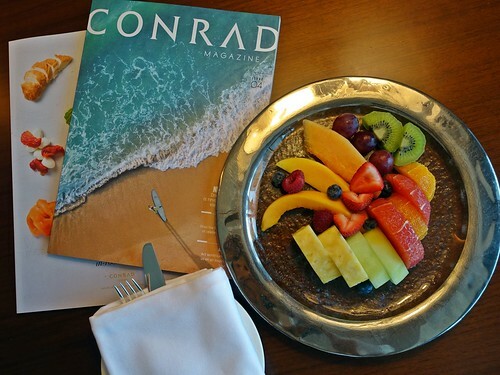 For weekends, you have to book at least 2 weeks in advance. 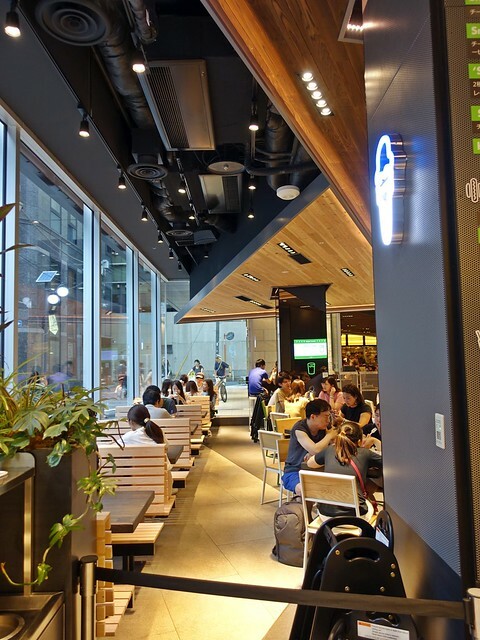 This restaurant is also part of the chain for Hacienda del cielo in Daikanyam and RIGOLETTO ROTISSERIE AND WINE Skytree at the Skytree so the menus are almost similar. 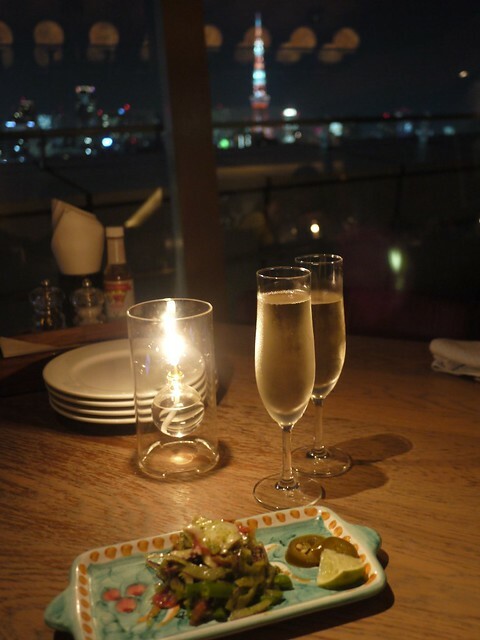 Due to their location in Roppongi, cheap drinks and 500JPY tapas, no wonder it is a hit with locals and foreigners working in the area. So in a span of 2 weeks, I visited this place twice just because it was accessible and cheap. The first time was brought by my girlfriends and the second time for Sushi san. 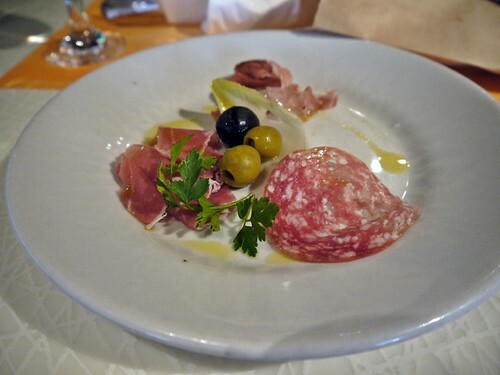 So here’s what I ate for the 2 times I visited, everything for 500JPY a plate. 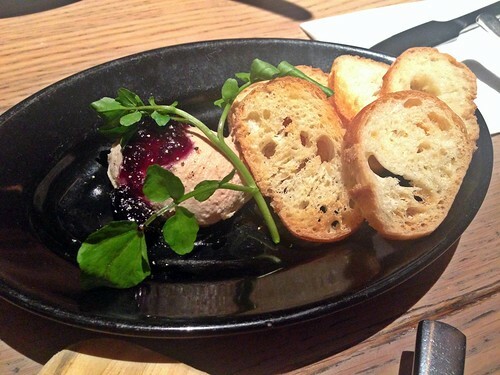 Crema Batida – mashed foie gras with liver with a berry sauce served with toasted bread. 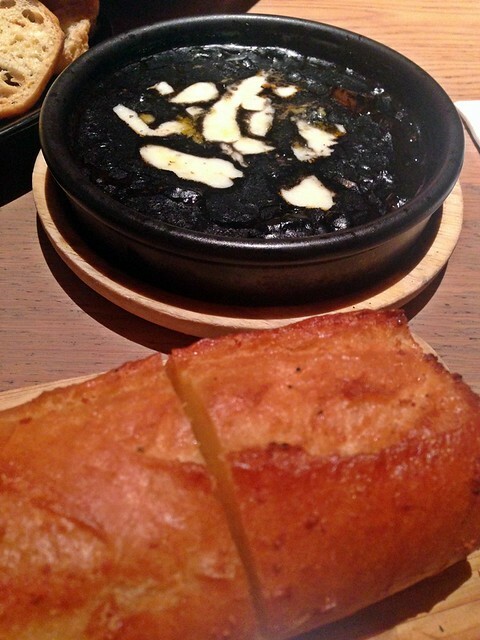 Squid with black ink sauce, also required to be served with some toasted Baguette. 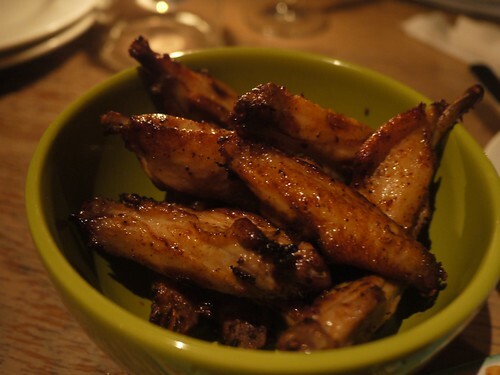 One of the recommended items off the menu. 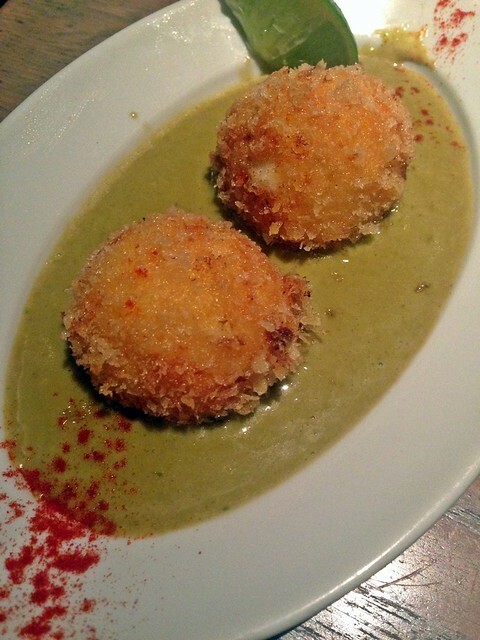 Croquettes of Crab and cream with green curry sauce – a fusion of something Asian spices with deep fried crab and cream. 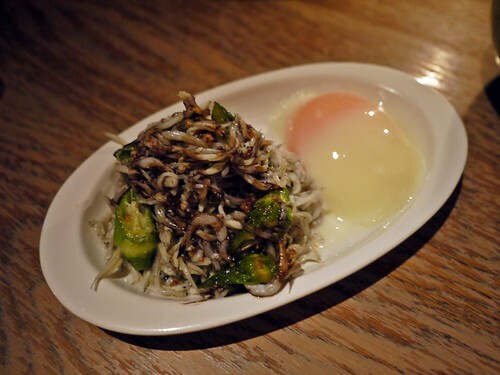 Sauteed whitebait with okura, highly recommeded dish. 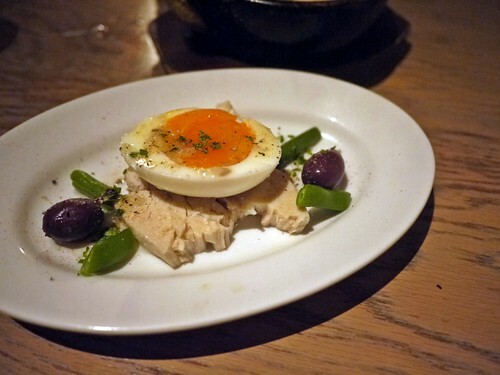 You mixed the onsen egg with the whitebait and okura and paired it with your baguette. 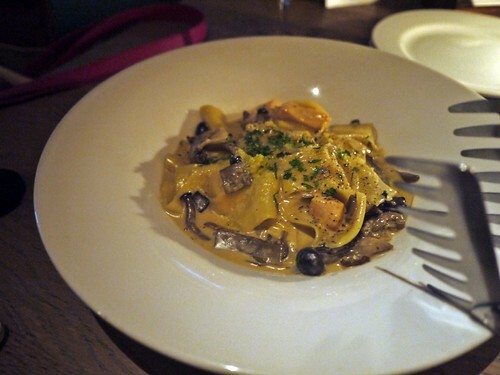 IT is really delicious and I didn’t get to eat it the first time we went as it was sold out. 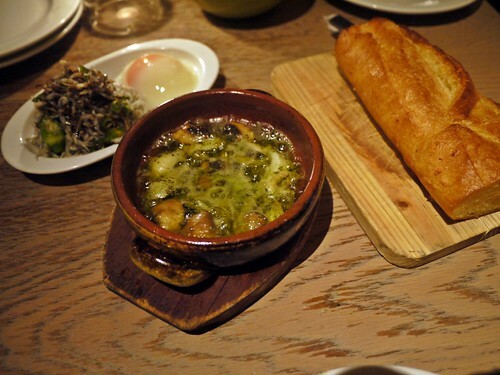 Hoping to replicate this dish at home some day. Ajillo of whelk and shitake mushroom, if you like the boiling hot olive oil dip to go with your baguette. 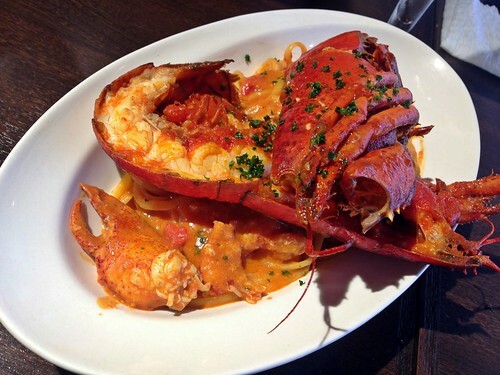 A refreshing change from the usual shrimp Ajillo. Homemade Tuna Nicose with Poached egg. 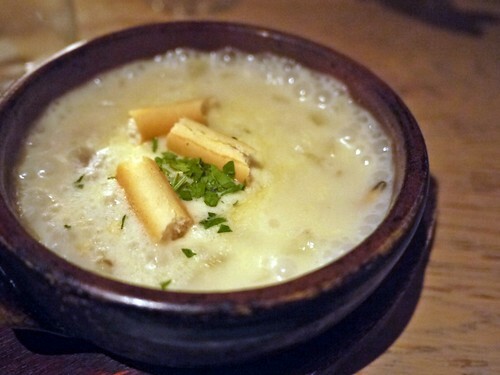 A bowl of steaming hot clam chowder to end our filled tummies. 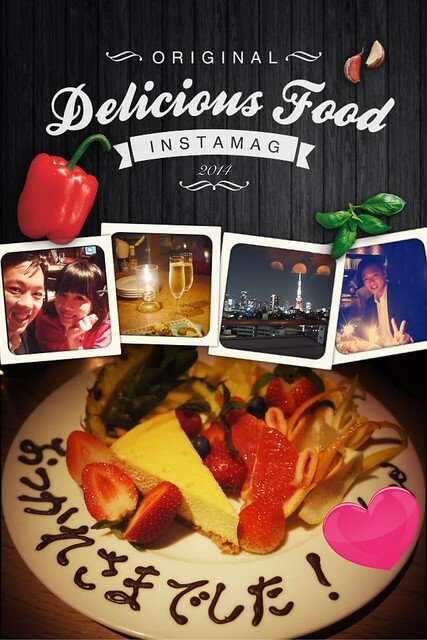 お疲れさまでした！The reason for heading over to this restaurant with affordable food and great Tokyo tower view was to give him a pat on the back for his previous job and to celebrate his next opportunity. 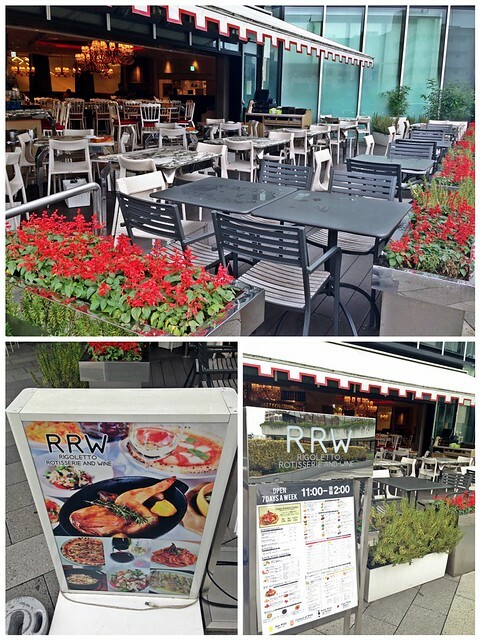 My 3rd visit to this popular and wallet friendly chain which serves upscale food at public friendly prices. We arrived 1 hour before it opened on a weekday and since Akasaka is mainly comprising of offices, the crowd is much less in the afternoons. 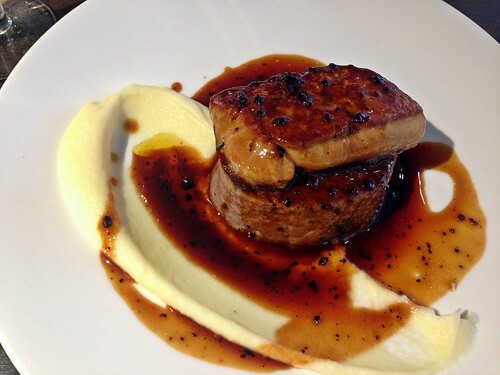 We were lucky to be offered the last table available as someone had cancelled their reservation. Yeah! This is the first time I get to sit down to eat here as most of the time they only have their standing tables available. We waited in a near Mcdonald’s until it was 11:25am, this was already the lunch time line for their 11:30 opening. 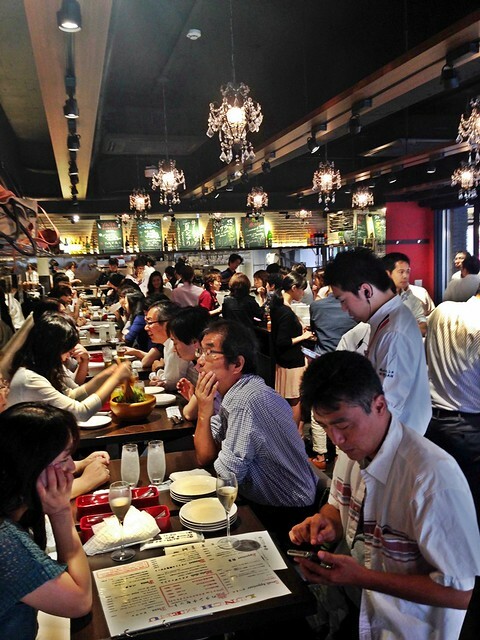 The restaurant was filled up when it opened and there was a never ending stream of customers till we left at 1pm. 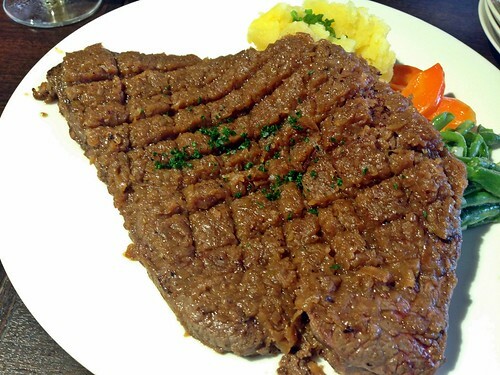 Akasaka limited steak with a layer of grated radish. The meat was a little tough in my opinion. 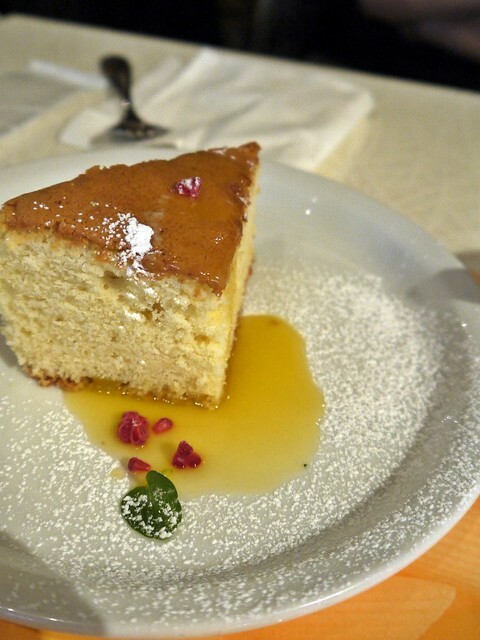 In a land of miniture food, the portion served by Orenofenchi is always huge so it would the place to go to if you go in a group. 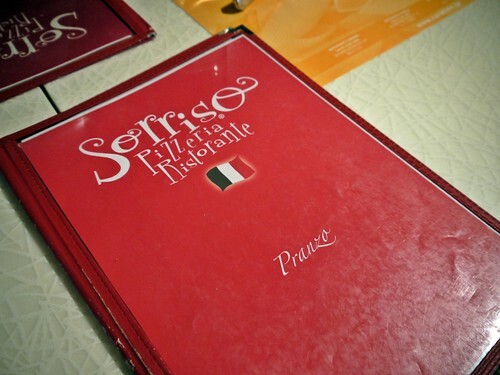 Since this eatery is a French/Italian branch, they also offere pizza and pastas in their menus. 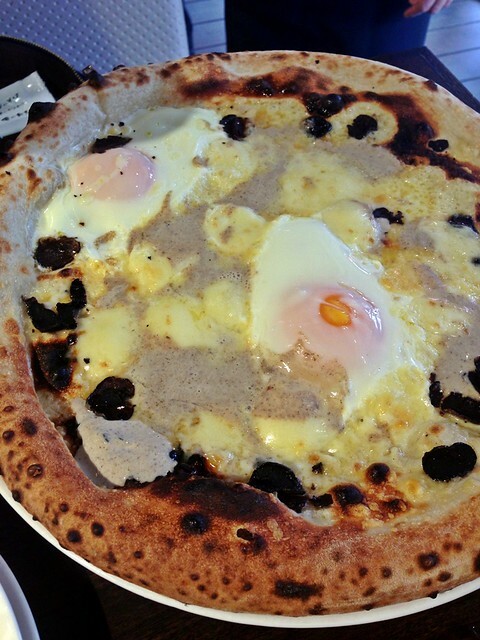 This onsen egg cheese pizza is highly recommended. They served the half boiled eggs right up to you and mixed it up before cutting the pizza. IT was sooooooooooo GOOD! 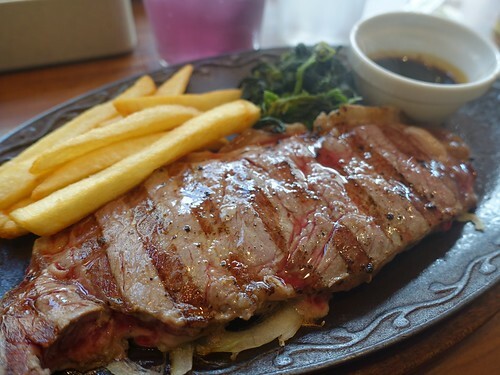 Our all time favorite – steak with foe gras. The steak was done just nice which was soft and tender. 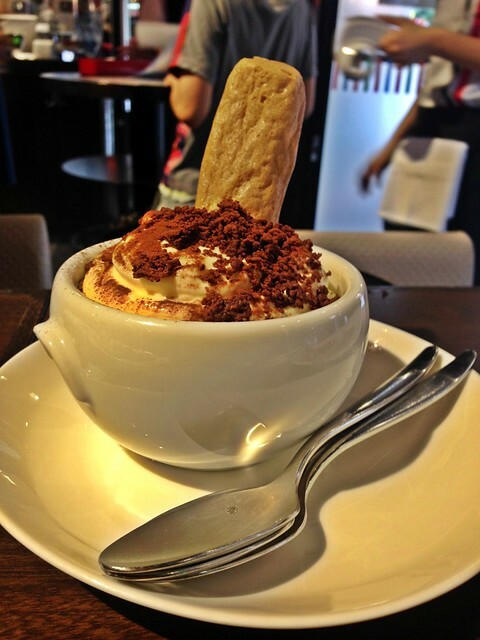 Tiramisu was great too…Just by typing this post, I am getting hungry for their food again. 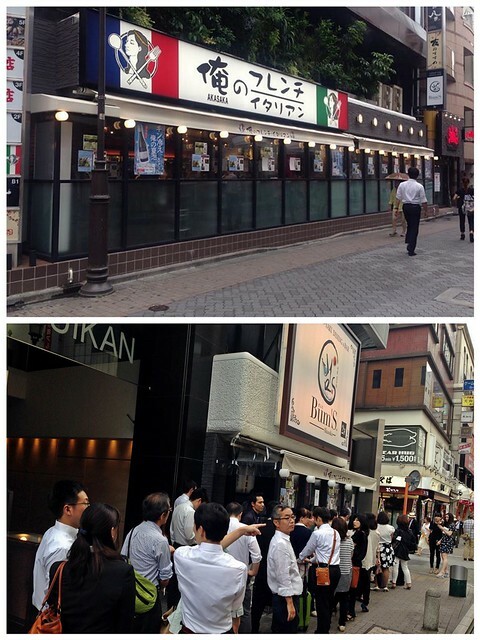 Next, we headed to this traditional dessert shop that originated from Kyoto for our dessert. 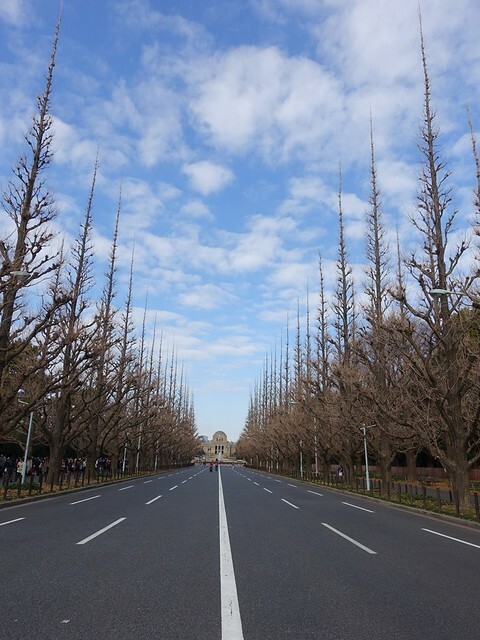 They have a branch in Daimaru Tokyo Station. 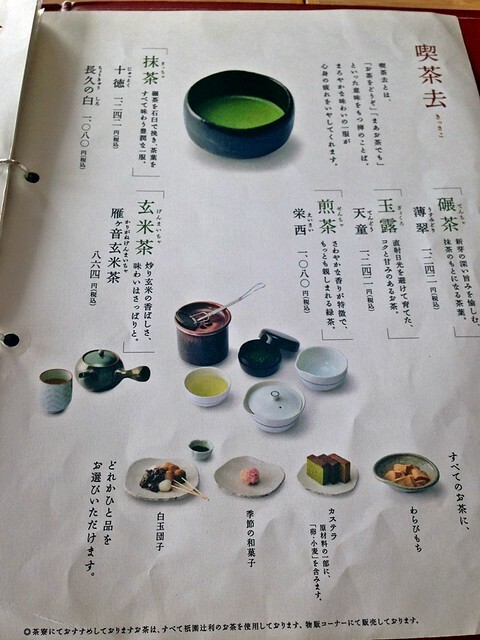 My Taiwan friends raved about how good the green tea desserts are. 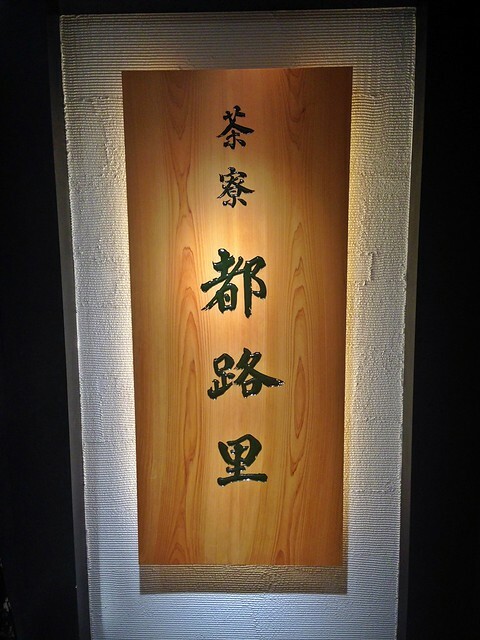 If you love Japanese tea, this would be the place for you but I think the prices here are little high. 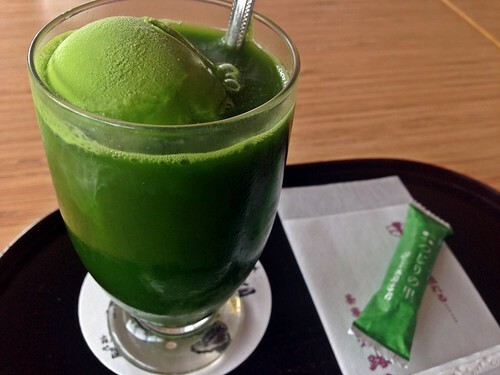 I got a cup of of maccha tea float with green tea ice cream. The green tea was really thick and very green tea-y. 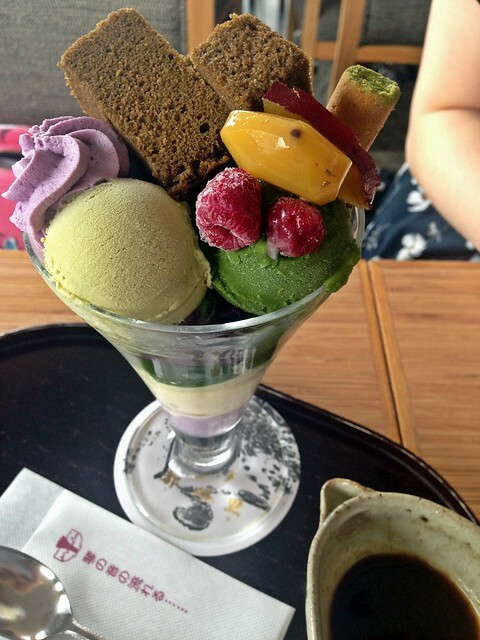 Daimaru Autumn limited edition parfait, looks really overwhelming. 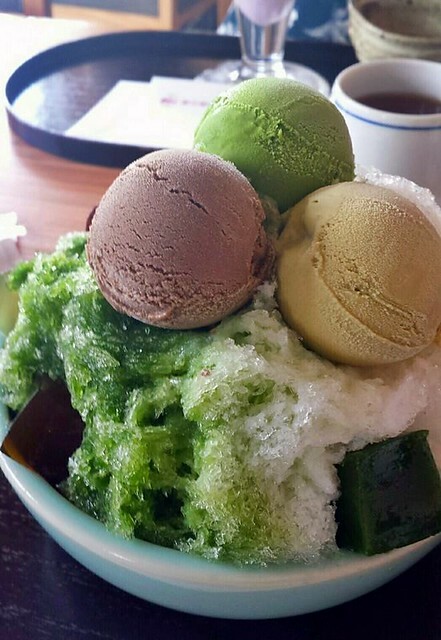 Shaved ice with green tea syrup, you can request for half half which means only one side is green tea for the the shaved ice. 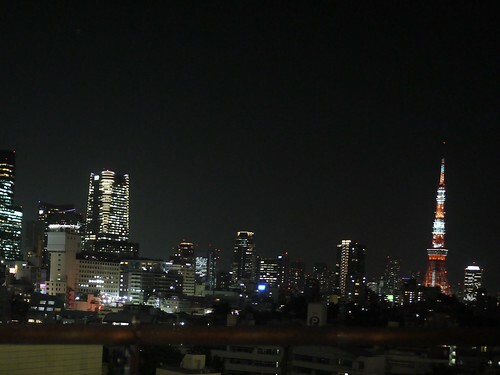 The fancy swanky Skytree area is always filled with tourists of all nationalities but there are still some places more frequented by the locals. 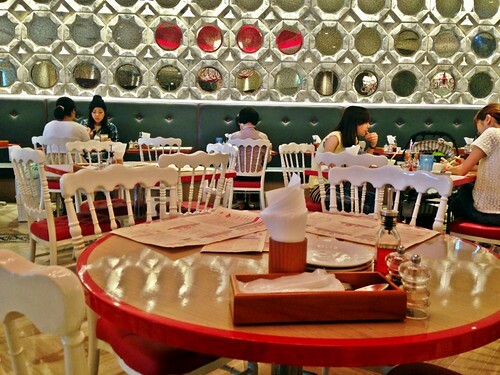 Heard that it gets really crowded in the evenings but lunch wasn’t too crowded. 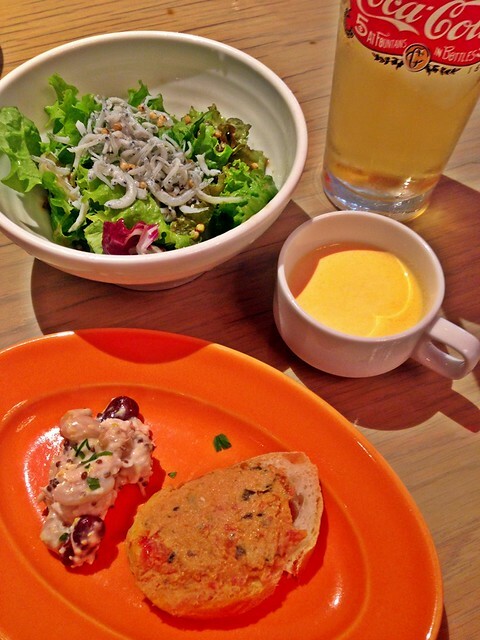 We were there for their grilled chicken lunch set which comes with a drink, tapas, cream soup and salad. 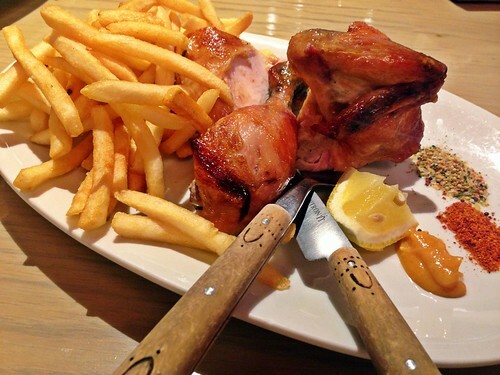 Of course, our main star – grilled chicken. 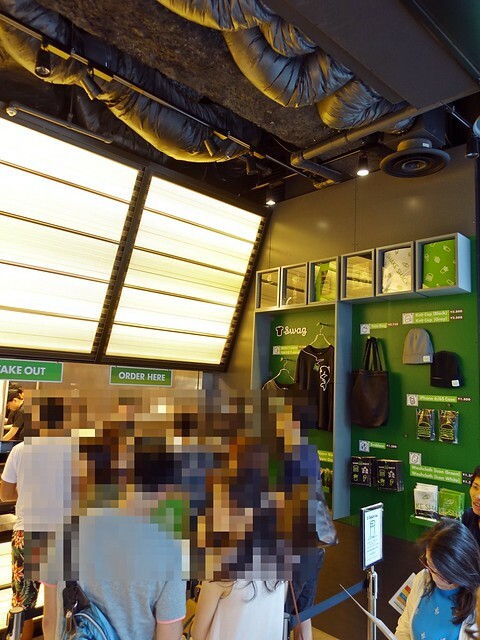 They grilled the chicken right in the open kitchen which you can see. 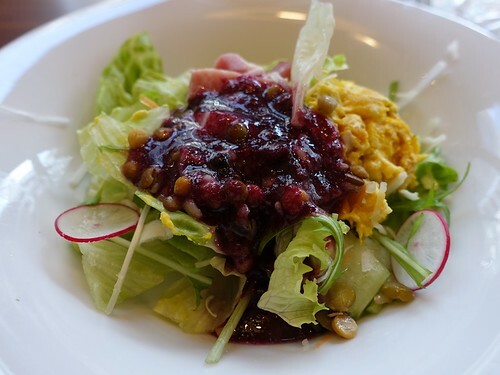 Very filling meal for only 1500JPY.